Looking for the perfect gift? 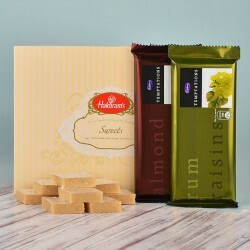 What can be sweeter than an Indian sweet hamper! Everyone loves our range of sweet hampers that come together with flowers, scented candles, dry fruits and more. Bring back the sweetness in the momentous occasions of life with our truly fabulous selection of delectable traditional Indian sweets. One of the best ways to express our love is through gifting. 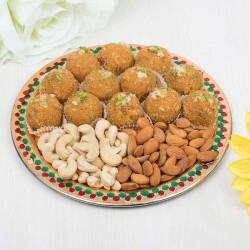 Add a sweet touch to any occasion in life with online sweets delivery from MyFlowerTree. 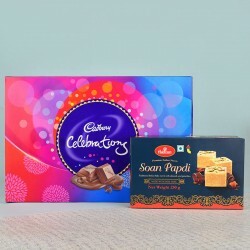 Our range of Indian sweets online are beautifully packaged and presented in delightful gift boxes, so there's as much pleasure in the opening the gift pack as is in the eating the delicious sweets. 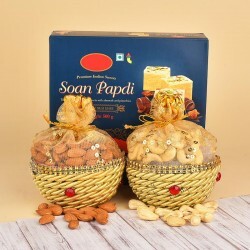 Whether you choose one of our sweet gift boxes or luxurious gift boxes with flowers, scented candles, dry fruits, etc., you will find them full of sweet surprises. Sweets and desserts are an important part of an Indian meal. Dessert is usually served at the end of the meal. After You've finished a big, hearty meal, you might be full on appetite, but you still crave for something extra. And that extra which you crave for is something sweet. Sweets are known to soothe your nerves, release feel-good factors (endorphins) in the body and relieve you of stress. When you feel low, a chocolate or an ice cream or your favorite cookie can go a long way in helping you come out of the blues. Order sweets online free delivery here and fix your sad or boring times with our range of comfort foods. 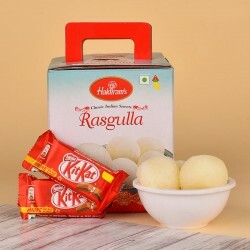 Rasgulla is a popular Bengali sweet which is relished across the country. 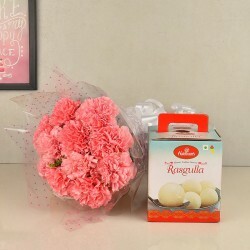 Rasgullas are white sponge balls made from chhena or Indian cottage cheese dipped in sweetened syrup. Another Bengali delicacy, rajbhog is made from chhena and flavored with saffron and rose essence. 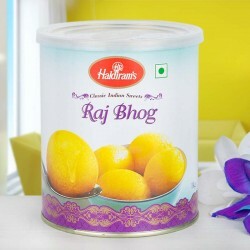 It is bigger in size compared to rasgulla and has dry fruits or mawa center. 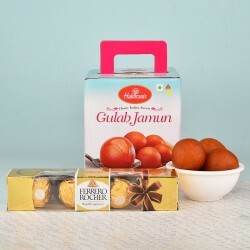 Gulab jamun is a classic Indian sweet which is enjoyed in most festivals and celebrations. Gulab jamun are fried round balls of khoya dunked in rose flavored sugar syrup. 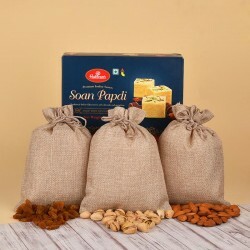 Soan papdi is a flaky sweet that originated in the Indian state of Gujarat. 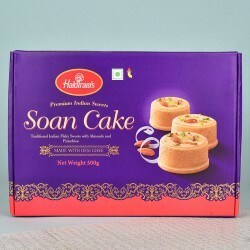 This flaky sweet is made from gram flour, ghee, milk, sugar and cardamom, and is best for people who like a little less of sugar in their sweets. This one's a classic and an ultimate favorite of all, irrespective of age. Kaju katli is a type of barfi made from cashew nuts and milk, topped with chaandi ka varak or silver leaf. No matter what the occasion is, sweets can be the best gifts and the safest gifts. From old to young, sweets can bring a smile on all faces. So, if you're looking for all occasion gifts, order sweets online at MyFlowerTree and gift sweet treats to your near and dear ones. Just like chocolate gift bouquet or dry fruit gift baskets, sweets are a fantastic gift for almost any time of year. Festivals like Diwali, Holi, Raksha Bandhan, etc. are not complete without a box of traditional Indian sweets. 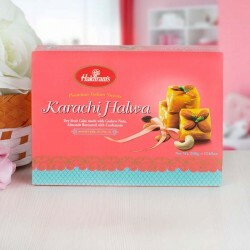 Whether you wish to send sweets online in Delhi or any other city in India or even abroad, you can choose us! 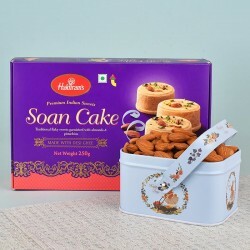 According to Indian culture, it is believed that every new thing, whether it is house warming or starting a new business, should begin with sweets. 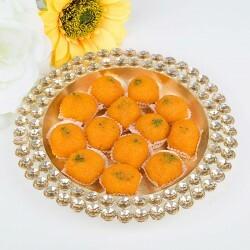 Hence, sweets can be a great gift for any kind of pious occasion. When someone goes out of the way to help you during your tough times, you should make that person feel special with a token of thanks. 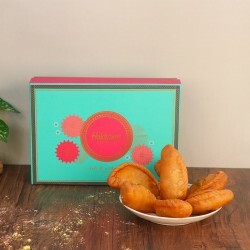 And what can be better than gifting a box of delicious Indian sweets? Whether you're wishing someone 'all the best' or saying 'congratulations', online gifts delivery can help you do it in a special way! 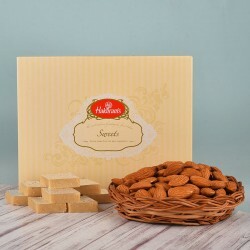 When it comes to casual gifting or gifting without any occasion, you can buy Indian sweets online and make your loved ones feel loved. Send sweets online from MyFlowerTree to your near and dear ones across 408 locations across India and 28 countries across the world. What's more? Our same day delivery ensures that your gifts reach right when you want them to!